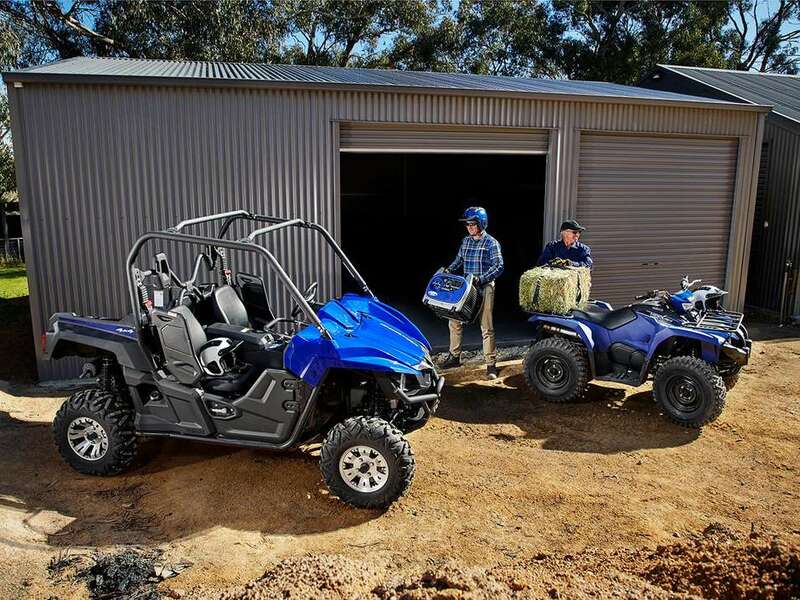 Wolverine EPS is a fun, comfortable and off-road capable ROV for trail and outdoors enthusiasts. 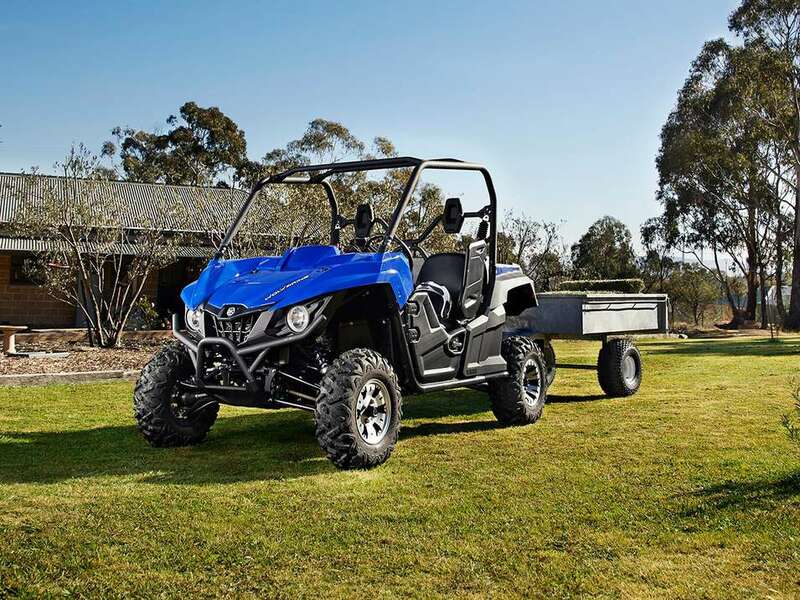 In order to reach a value packed price point, the Wolverine EPS is big on thrill and low on frill – so is fitted with more of what you want and less of what you don’t. It comes with Electric Power Steering to provide precise handling through the best balance of assist and positive feedback from the terrain. It also comes with trick aluminium wheels – that don’t just look hot, but save weight. But the tailgate and sunroof of the R-Spec model are now optional and the suspension no longer runs a piggyback reservoir. Fun factor is still through the optional accessory roof. 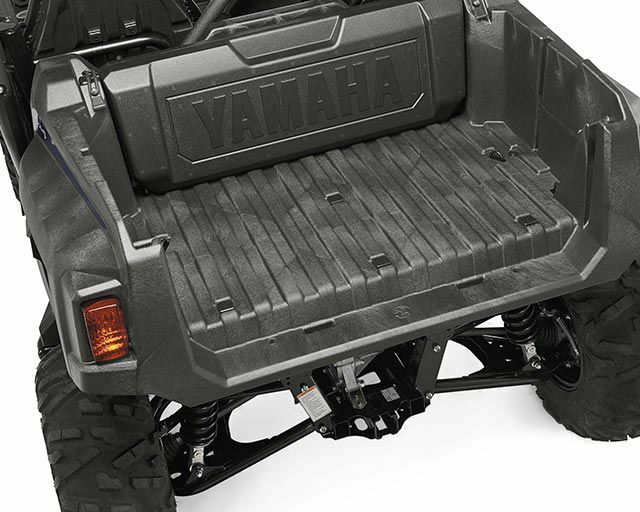 The tough, molded composite bed is rated to haul 136kg of gear, with a design that allows you to reposition the tailgate to handle different sized loads…and a 2.5cm divider notch provides even more versatility. In the bed are six steel tie-down hooks to secure cargo. Comfort is maximized for both the driver and passenger with an automotive-style cab and driving position featuring all-new soft, supportive and secure high-back bucket seats, 3-point seat belts, an adjustable passenger handhold and dedicated floorboards that provide a comfortable and secure driving experience. 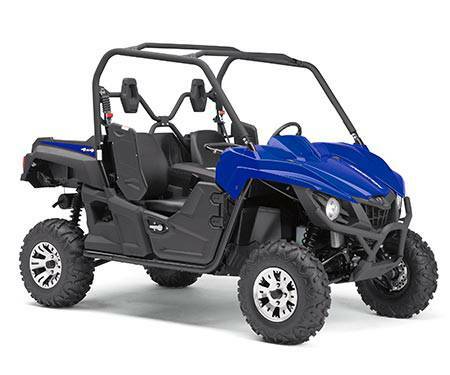 Wolverine EPS features a class-leading four-wheel independent suspension with long-stroke KYB® shocks that provide quality damping feel, reliable bottoming resistance, and preload adjustability to handle a wide range of riding styles, loads and terrain. Large diameter front and rear wheel disc brakes provide unsurpassed stopping power with twin pistons for excellent, and predictable, overall brake feeling. Drilled rotors increase cooling and reduce noise plus the wet parking brake is completely sealed, so it's protected from the elements and it's virtually maintenance-free. Ultramatic® transmission with dual-range (Hi/Lo) drive and reverse is the most advanced drive system available. An automatic centrifugal clutch maintains constant belt tension for reduced belt wear and the system features a sprag clutch for all-wheel downhill engine braking in 4WD mode and reverse. Front wide-arc A-arms and full-length skid plates maximize durability and terrainability and provides 29cm of ground clearance. Flares on the frame protect the rear wheels from oncoming trees and rocks. Two cup holders, two centre console storage bins and a dash- mounted glove box provide maximum space for storing items in the cab. Standard 12V DC outlet in cab for powering accessories and personal items on the trail. Digital instrument panel boasts multifunction LCD display with speedometer, odometer, dual tripmeter, hour meter, 4WD status, transmission position, clock and fuel gauge. Two cup holders, two centre console storage bins, a dash-mounted glove box and under-seat storage provide maximum space for storing items in the cab. Standard 12V DC outlet in cab for powering accessories and personal items on the trail. 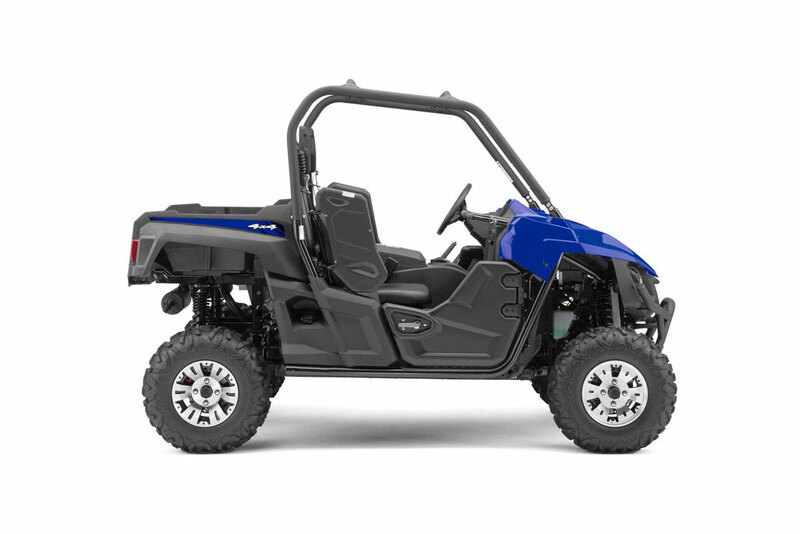 The front and rear of the chassis - approach and departure angles - are tapered on the sides and bottom of the vehicle to reduce potential contact on tight trails and in rough terrain. 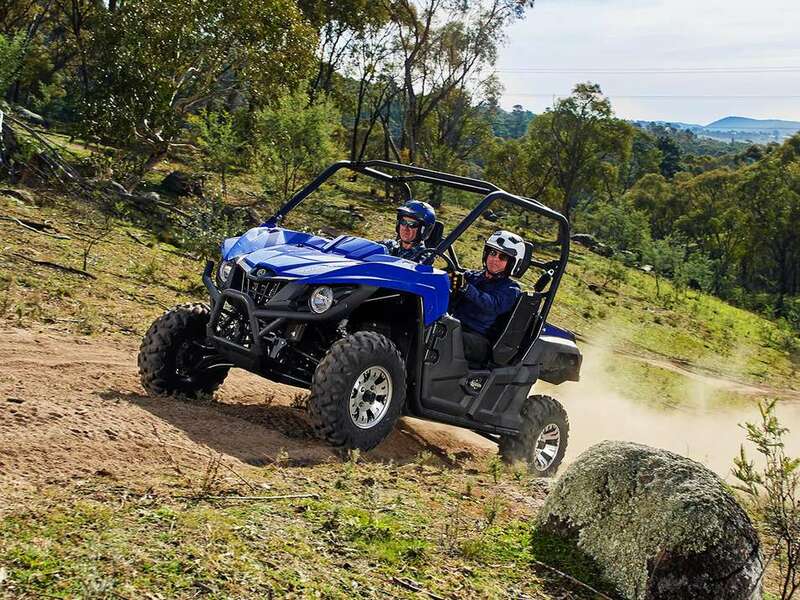 With an 205cm wheelbase and 29cm of ground clearance the Wolverine is designed for best-in-class terrainability and the body design with the low hood gives drivers maximum visibility to navigate tight, technical trails and challenging terrain. 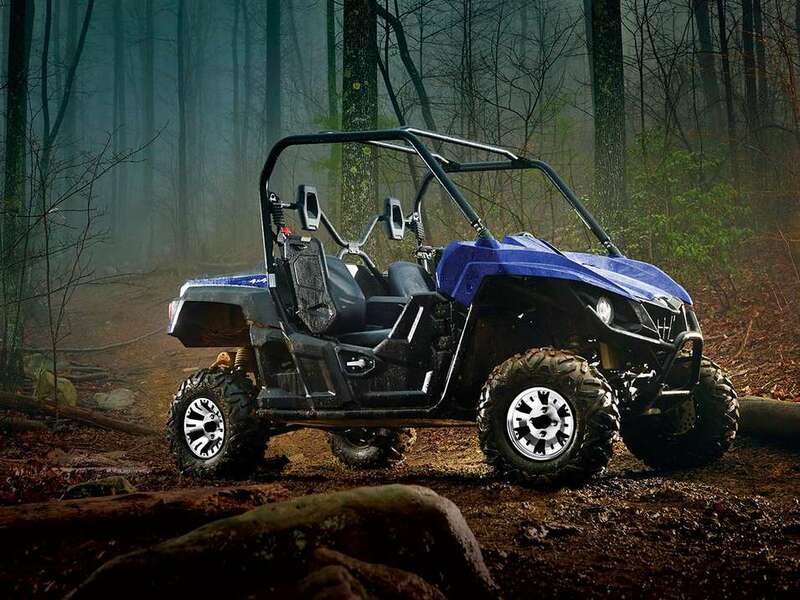 The Wolverine EPS features eye catching lightweight alloy rims with exclusive 26-inch Maxxis® Bighorn® 2.0 tires provide optimum traction, durability, comfort and steering precision.